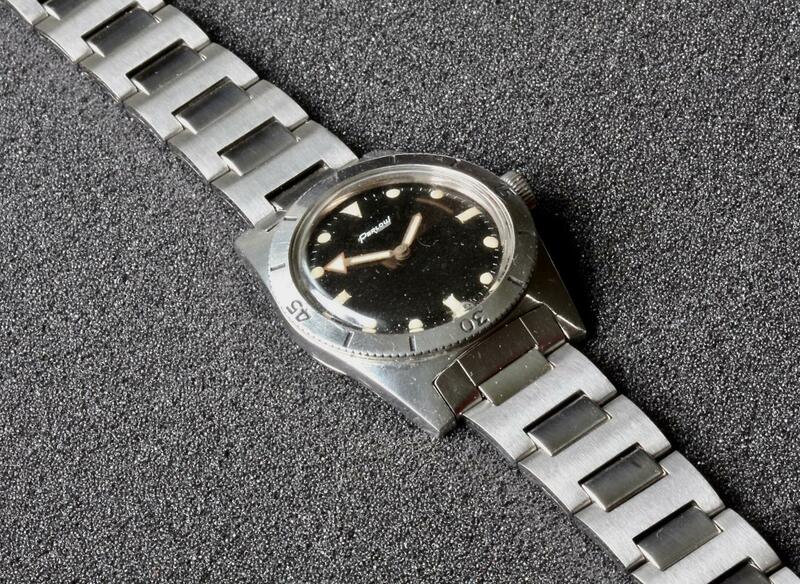 Many 1960s vintage dive watches like the one shown above are difficult to find steel bracelets for because of the deep, extended 19mm wide lugs with a flat connection point. 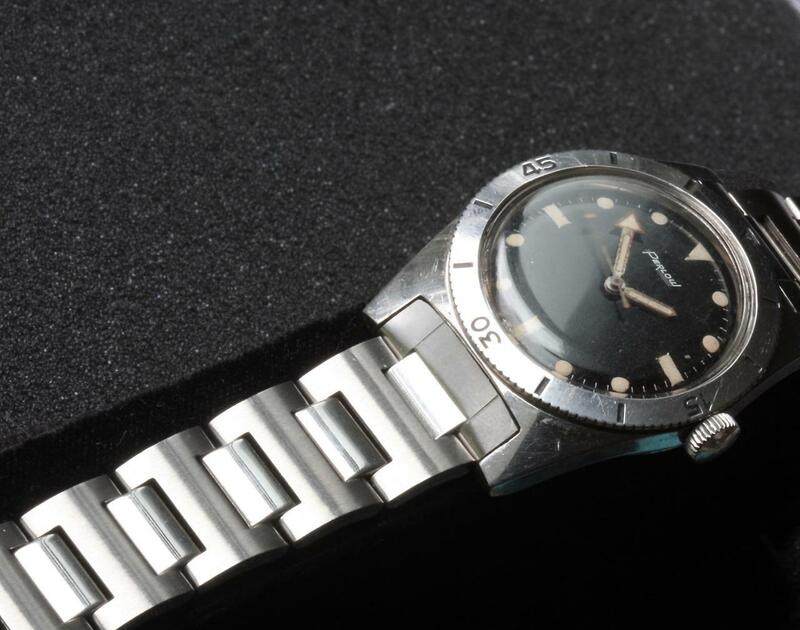 The vintage NOS Kreisler Stelux bracelet shown fits these common 1960s case styles, shared by many divers and dive chronographs. 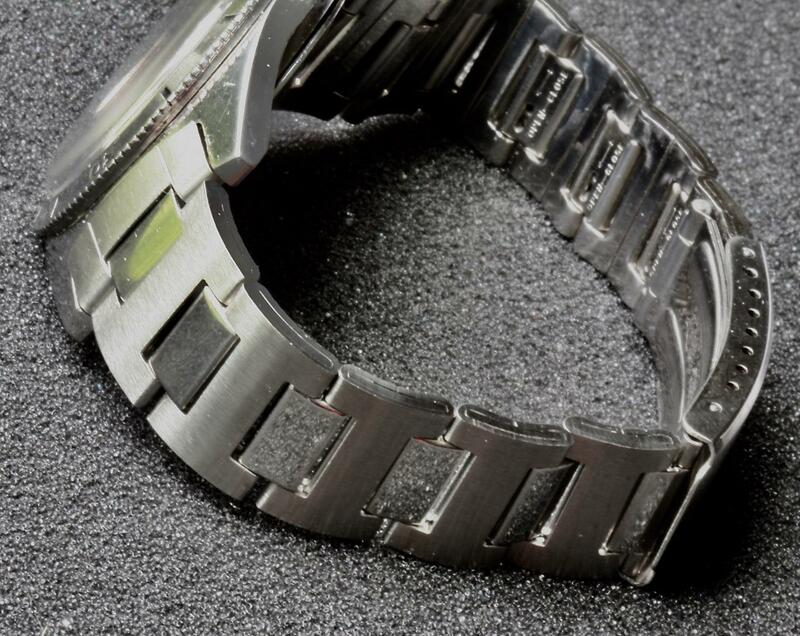 Perfect complementary finish to this folded steel bracelet with satin finish links that have polished centers. The pictures tell the story. 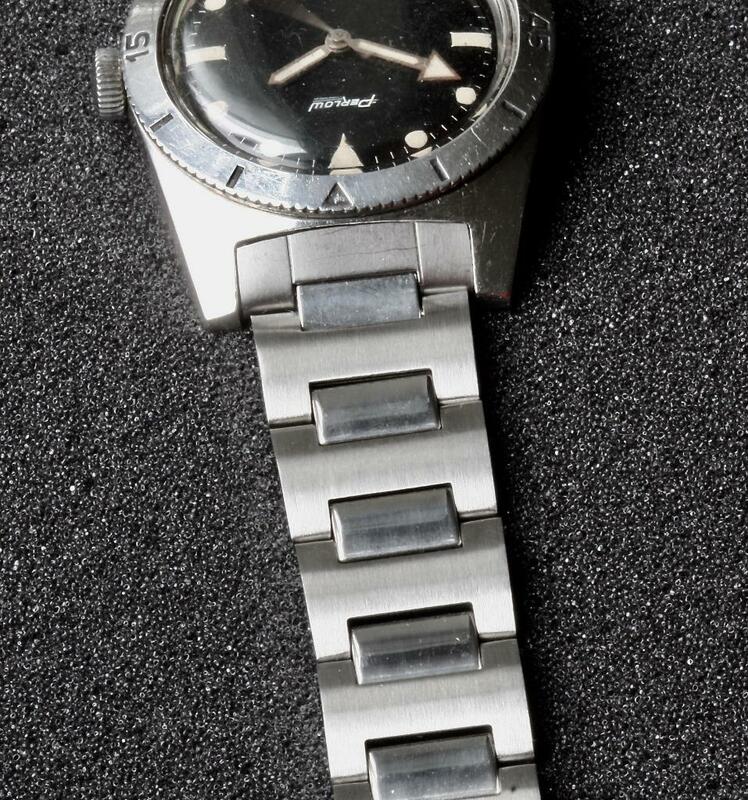 New Old Stock dive watch bracelet from the 1960s. 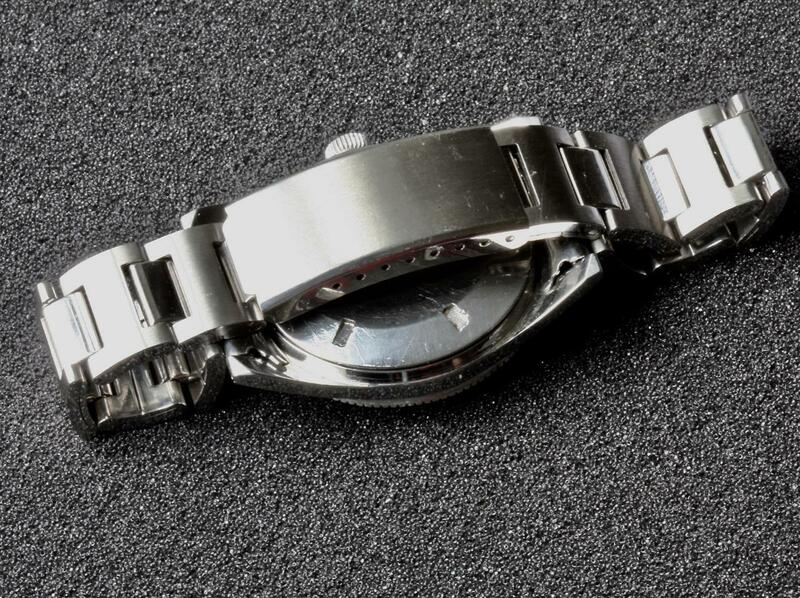 The end pieces come apart from the band and attach by sliding the spring bar through the slot at the end of the band. 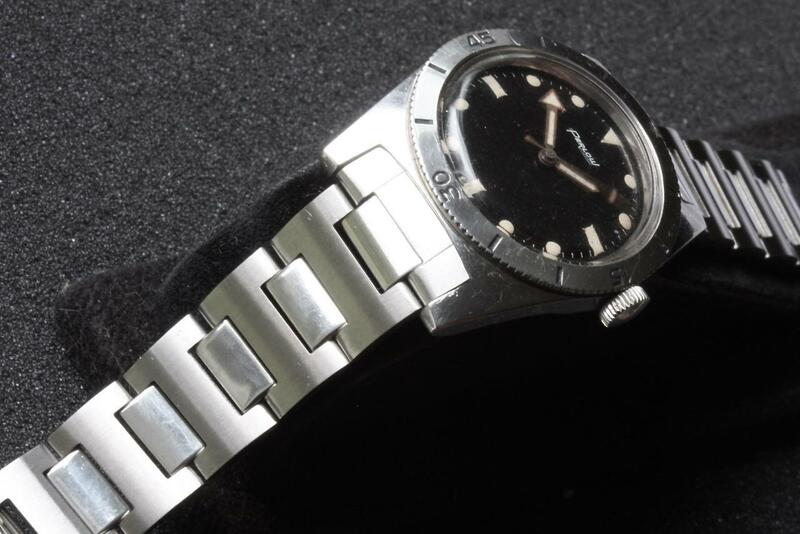 Good length that will fit many wrist sizes. Fully extended the band measures 6 1/4 inches (15.8cm) and it will size down in 7 incremental adjustments in the clasp to as short as 5 1/2 inches (14cm). 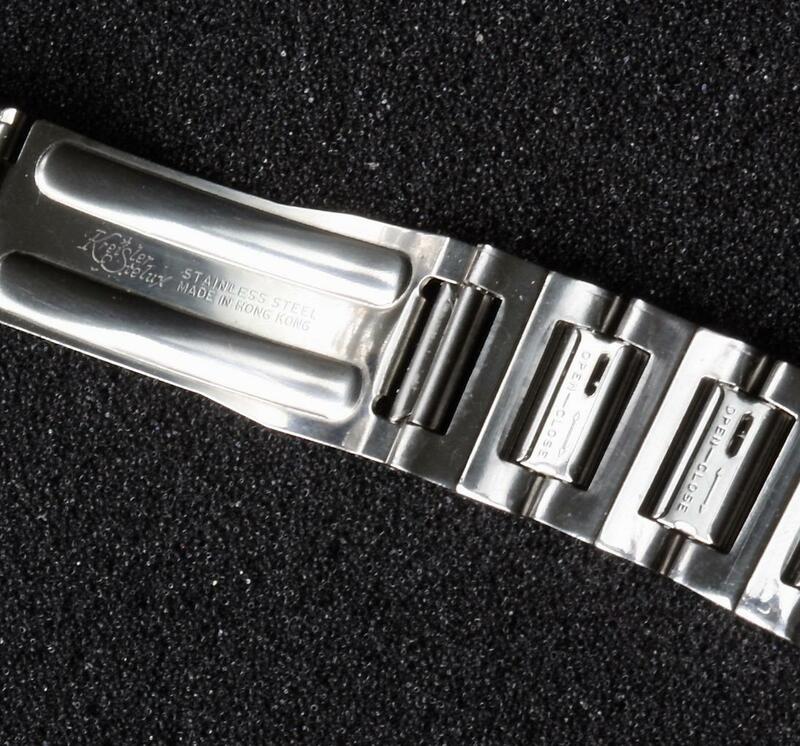 To make it shorter, there are 5 removable links with slide out bars, shown in the picture with the Kreisler logo on the back of the clasp. The links are 2.8mm thick. The clasp is 17mm wide and the links gradually flare out to 17.8mm wide at the ends. Weighs 39 grams. 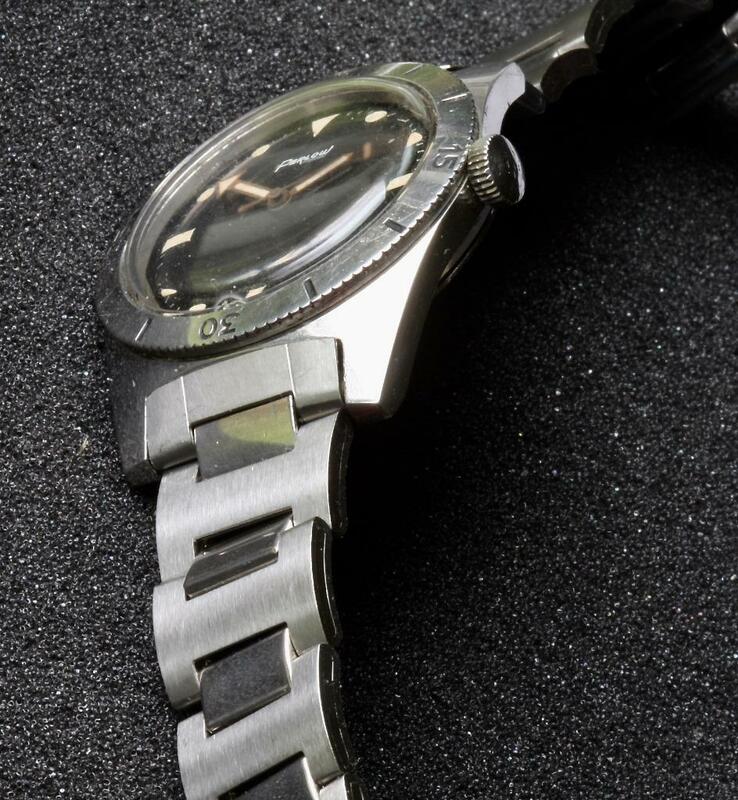 Getting the end pieces to sit flush requires easy one-time adjustment of the tabs on the back of the band to set the end piece in tightly.